I needed to make a quick DVD slides show of some pictures. 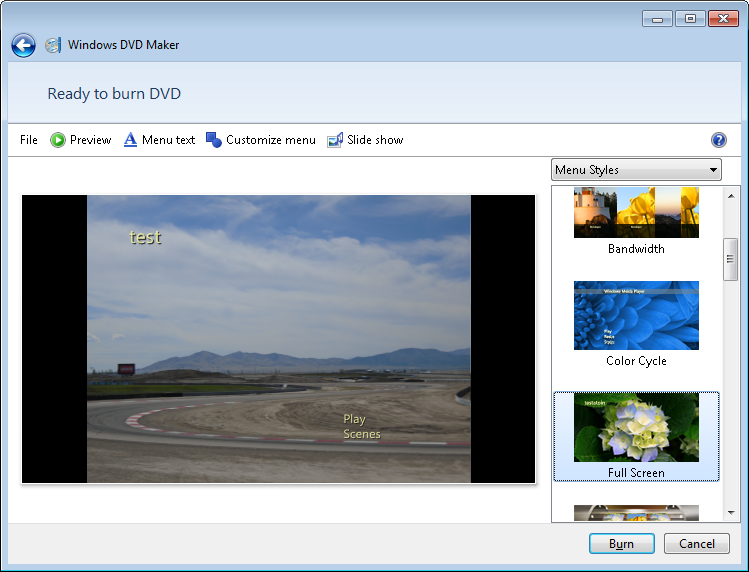 Fortunately, there is a free DVD creation program included with Windows 7 called Windows DVD Maker. "Windows DVD Maker is available on Home Premium and Ultimate editions of Windows Vista and on Home Premium, Professional and Ultimate editions of Windows 7." 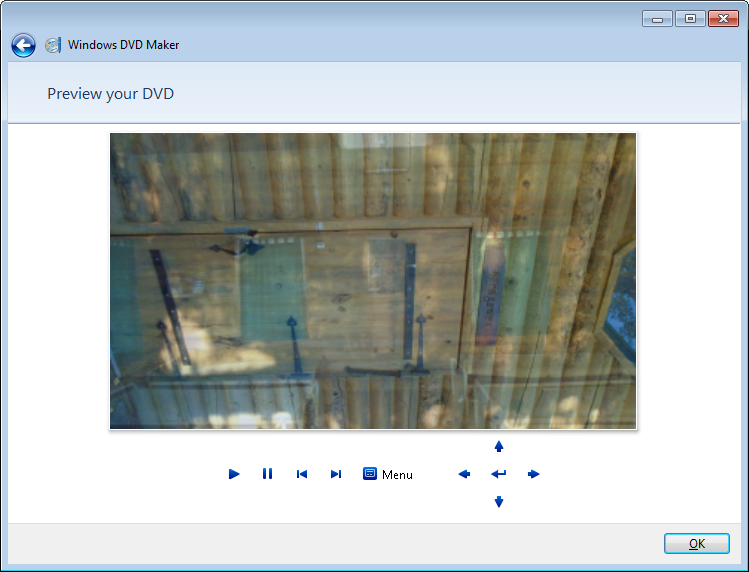 Windows DVD Maker is a pretty simple tool with minimal features, but sufficient to create a quick DVD slide show. 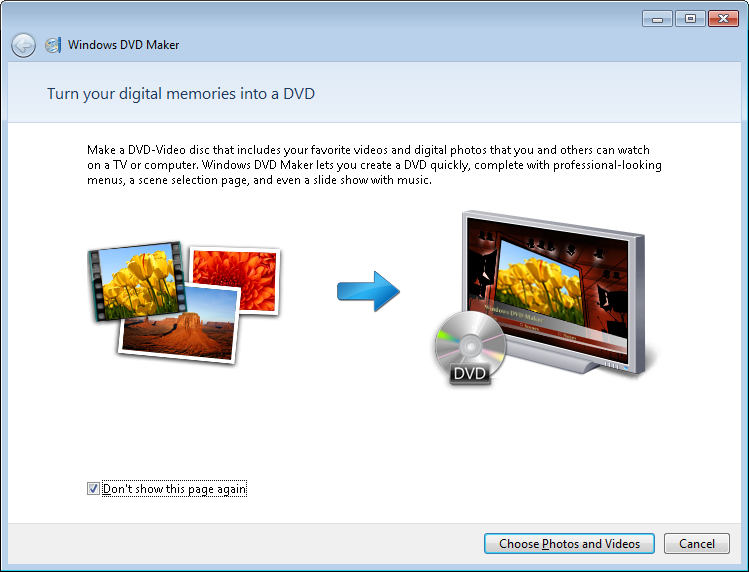 "Make a DVD-Video disc that includes your favorite videos and digital photos that you and others can watch on a TV or computer. 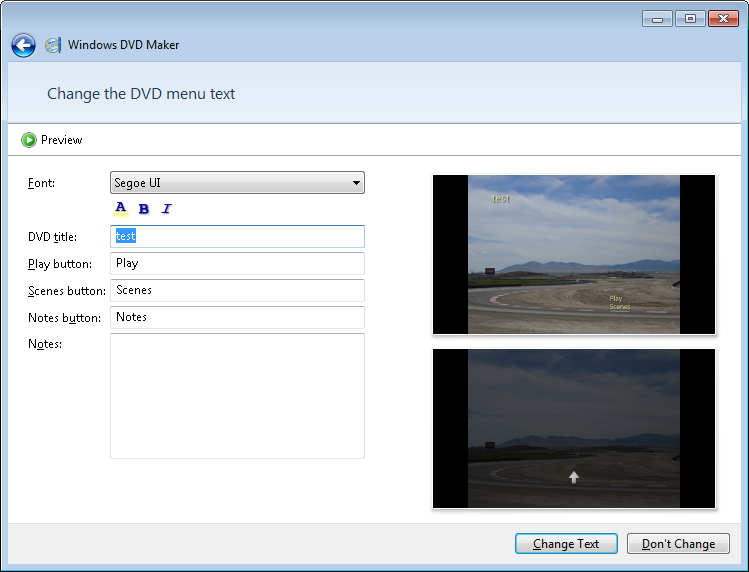 Windows DVD Maker lets you create a DVD quickly, complete with professional-looking menus, a scene selection page, and even a slide show with music." 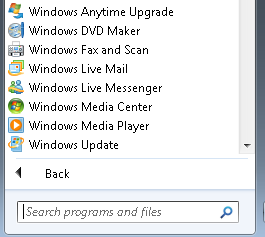 1) Start - To start Windows DVD Maker, select the program from the Start menu (or by running "dvdmaker.exe"). 2) Title - From the DVD Maker title screen, select "Choose Photos and Videos" to continue. 4) Change Order - If you need to change the order of photos/videos, double click on the slideshow link and then you can drag and drop the items to any desired order. You will notice the default duration is set to 7 seconds. This duration can be changed at a later step. 5) DVD Options - Click the "options" link to change some basic DVD format options. The option I prefer to change is the DVD playback setting to continuous loop. Great for a continuously running background slideshow. 6) Final Touches - Once we have our order decided upon, we can click continue onto the "Ready to burn DVD" page where we can change DVD menu options and slide show options. 7) DVD Menu Text - If you wish to change the DVD menu text, click the "Menu text" button, and make the appropriate changes. I left the defaults as is. 8) DVD Menu Style - If you wish to change the DVD menu style, click the "Customize menu" button, and make the appropriate changes. I left the defaults as is. 9) Slide Duration - If you wish to change the duration of the slide show, add music, or change the transitions used, select the "Slide Show" button. The duration is a global duration, meaning you can't set a different duration for individual photos. The Slide Duration can be set to 3, 5, 7, 10, 15, or 30 seconds. There is also an option to set the slide duration to match the music length. 10) Slide Transitions - You can change the slide transition animation to a number of options (Cross fade, Cut, Dissolve, Flip, Inset, Page curl, Pixelate, Random, Wipe). Again only one global transition can be selected, unless you select Random to which it will randomly assign a transition to each slide. 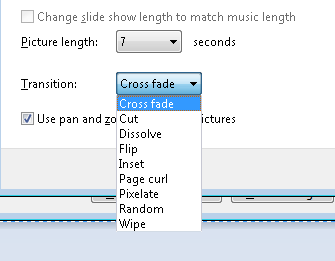 My preferred transition is the default "Cross fade". I also prefer to leave the "pan and zoom effect" enabled. Makes the slides a little more visually entertaining. 11) Music - Background music can be added to the slide show. If there is less music than the length of the slide show, the background music will automatically repeat. At the end of the slide show, the music will automatically fade out, instead of being harshly truncated. 12) Preview - Before burning your completed DVD, click the "Preview" button to preview the DVD video. You will see how the DVD menu and transitions appear. 13) Burn - Finally, click the "Burn" button and your DVD begins burning. Once the DVD has completed burning, you will be presented with an option to burn a second copy. Enjoy your DVD slide show. Tutorial Creating a slideshow with Microsoft Windows DVD Maker is great.